The Baoer 100 fountain pen might be the perfect addition to your collection. With a custom smooth fine nib, this pen offers a great and reliable writing experience in any type of paper. With a classic and timeless design, the Baoer 100 is a beautiful pen to use everyday, or to collect. A fountain pen turns your writing tasks into moments of pleasure. They provide you with the most smooth writing experience and provide a feel that’s completely different than the one you get with a ballpoint pen. No matter if you’re writing your notes or tasks in a piece of paper, or if you’re signing documents, a fountain pen turns those simple moments into a relaxing experience. If you order one of these pens, you can easily use any bottled ink of your choice since the Baoer 100 brings an ink converter. If you have some international cartridges laying around you can also use them in this pen. Made of metal this Baoer 100 weights around 28 grams. 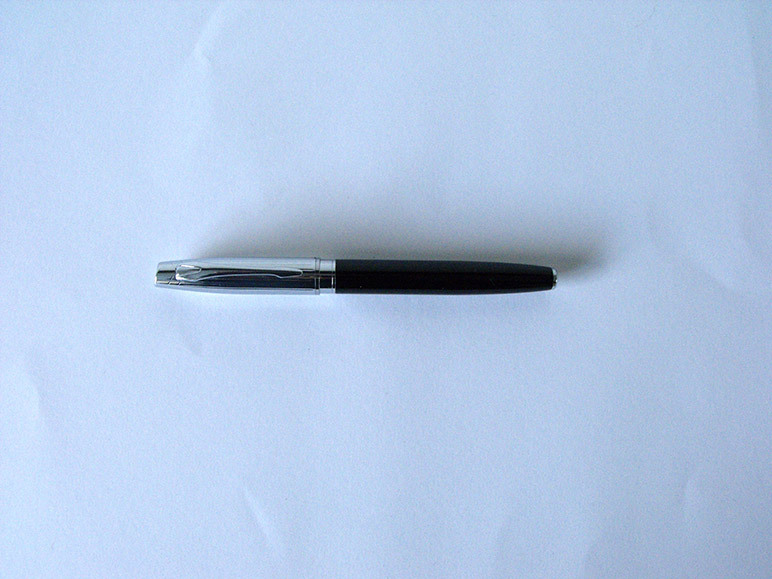 The full length of the pen is around 135mm and you can write with it capped. It’s a highly comfortable fountain pen. Additionally, the design and weight are perfectly balanced so you can use this pen on long writing sessions. You can easily personalise this Baoer 100 Fountain Pen to your preferences. You can easily get a completely different writing experience with it by replacing the nib. If you’re interested in getting the most out of your new fountain pen check our replacement nibs. This pen is 100% compatible with our hooded replacement nibs. All these nibs can be used in any compatible fountain pen. Therefore, you have the chance of changing and adapting any of your fountain pens to your hand lettering or your taste. This entry was posted in Baoer, Fountain Pens, Handwriting, Limited Edition Fountain Pens. Bookmark the permalink. How similar or different is this Baoer 100 when compared with a hero 616 or hero 366? The Baoer 100 is a totally different fountain pen. It has a metal body, it uses a cartridge/converter filling system and it’s heavier than the hero 616 and 366 or even the hero 329. All those hero pens use a pen sac / aerometric filing mechanism and have a lightweight plastic body.